Aw, adorable! Definitely the cutest comic in a while. Hoping this will become a reality! How awesome wouldn’t it be to have your very own thing on the threshold? Well I guess that’s kind of a spoiler of how this turns out in the tags there… Oh also, for my American friends: GO VOTE on Tuesday, and vote correctly. The rest of the world is watching (in horror). Oh yeah, the design of that guy is definitely inspired by the work of John Kenn Mortensen. He won one of those huge fluffy teddy bears (Kong-sized). Congrats! Don’t worry, his upset stomach was soon settled by eating a kid in a Mentos costume. Aw, poor guy. I can certainly relate because that’s the exact same reaction I usually get when I’m going in for a hug. 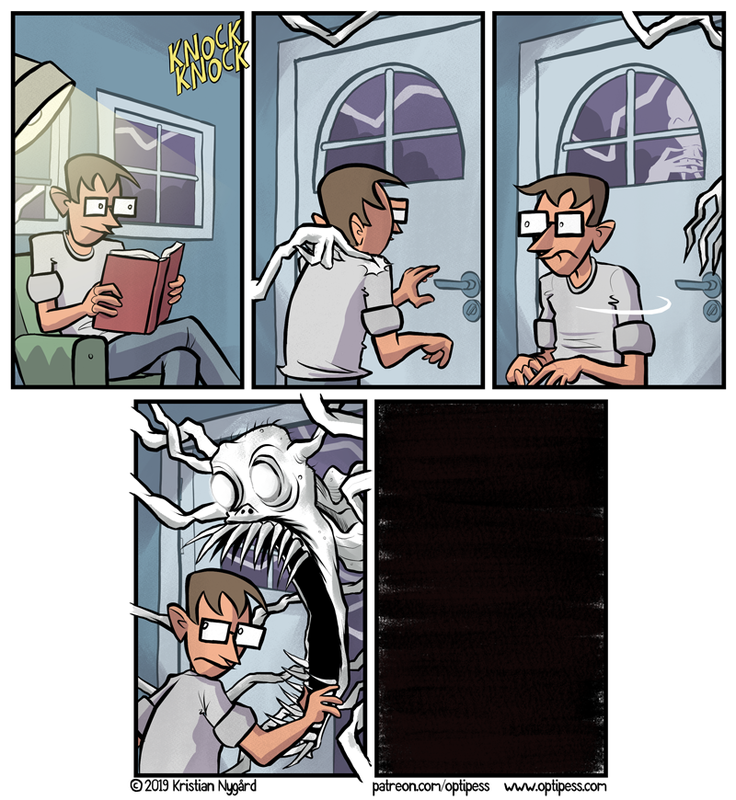 Phew, here is a comic. Now, time for ZzZzZ’s. Another excellent parenting advice! 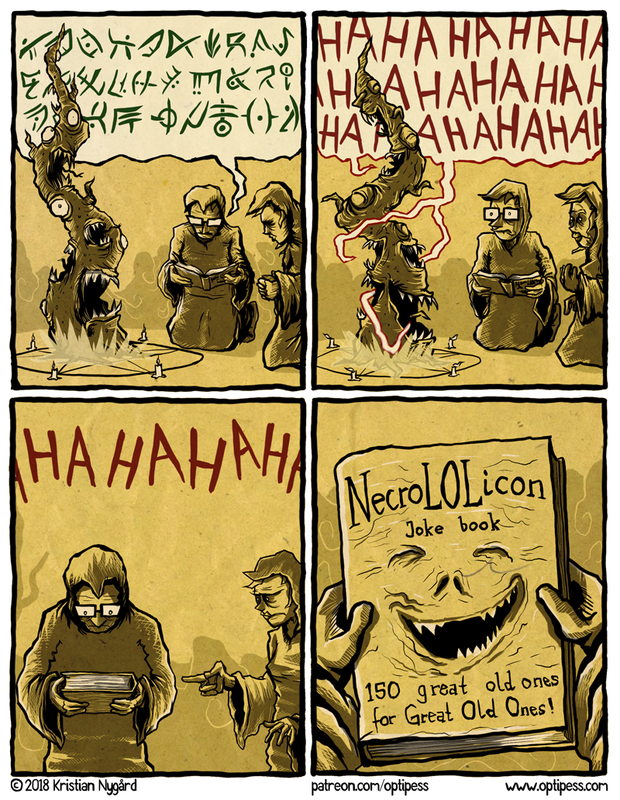 Also, this comic probably has more words than all my previous comics put together. 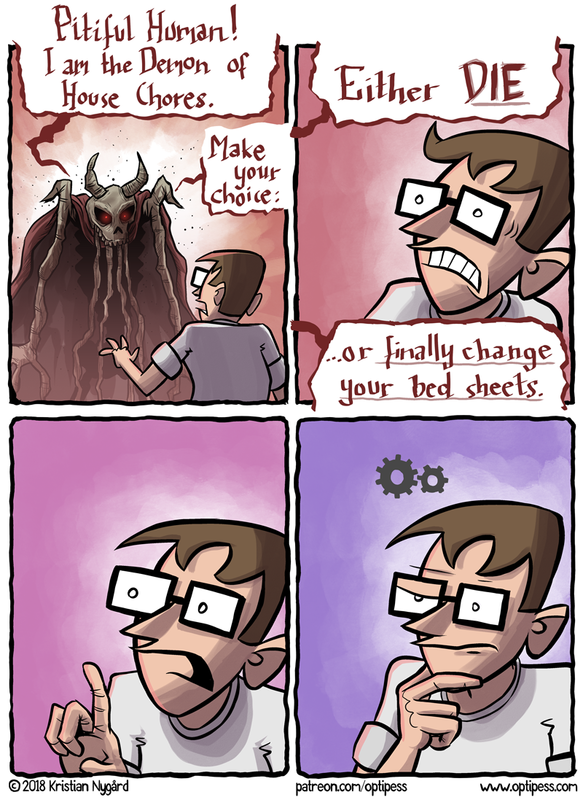 Oh hello, here is a new comic! By the way, that creature thing is perhaps related to these guys. “I didn’t study!” – The most terrifying sentence in the English language. 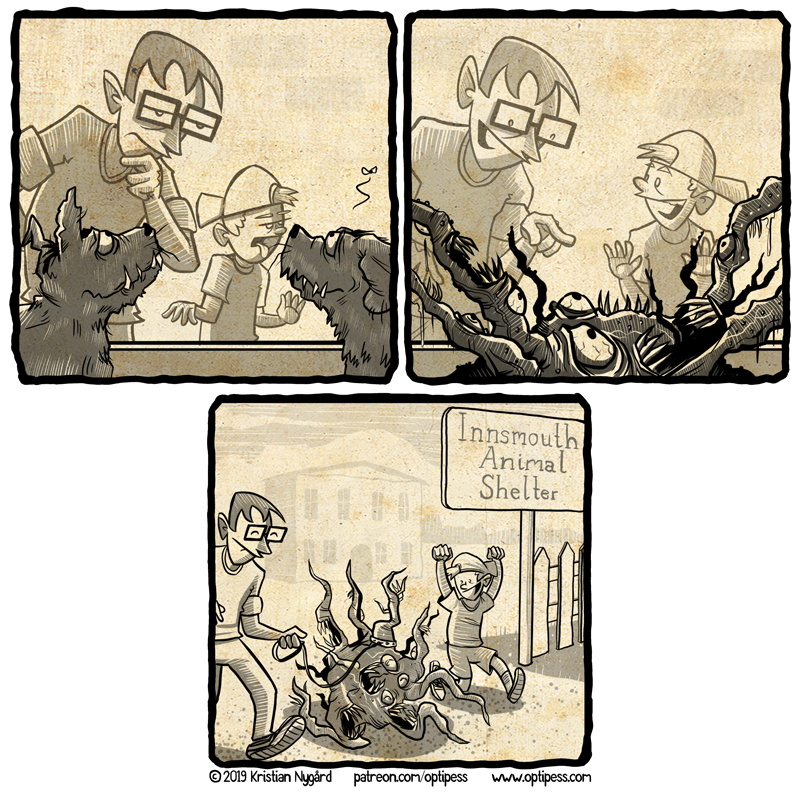 Also, this comic marks the return of the Imaginary Fiend! Aww, adorable! Also, this comic is indeed an homage to the demented work of horror manga artist Junji Ito. This gritty reboot will also somehow tie into one of the 14 Prometheus sequels Ridley Scott has planned for the next decade. Also, in case you missed it last week – there was an article + interview with me about some of my gloomier comics over at Huffington Post. Exciting! Yup, monster design definitely inspired by the work of John Kenn Mortensen. 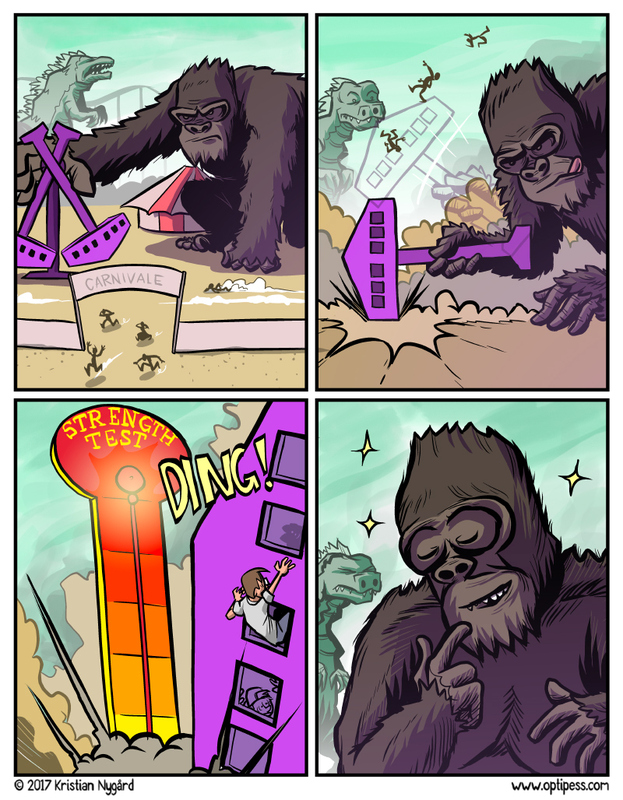 Here is a comic with everyone’s favorite giant monster. Also, there’s a new “making of”-video for pledgers over at my Patreon page. Consider becoming a patron to support the comic! Hello! Here is a comic with some important parenting tips.